STRELNA, May 24. /TASS/. Russian President Vladimir Putin has nominated former Deputy PM Dmitry Rogozin to head the State Space Corporation Roscosmos. 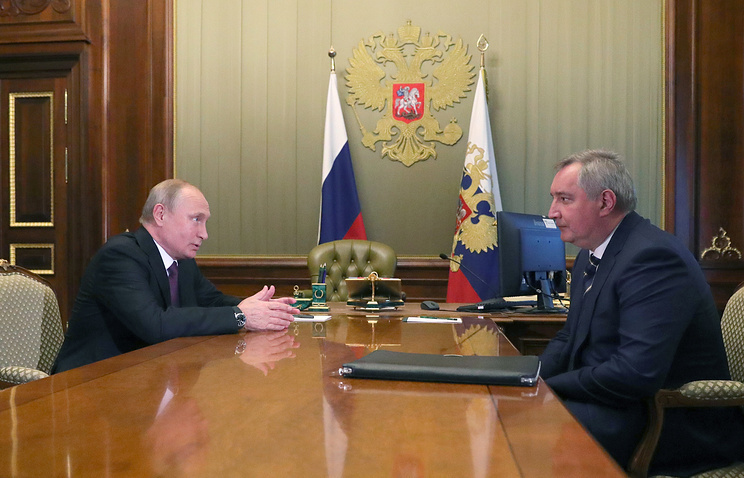 The meeting between Putin and Rogozin took place on the sidelines of the St. Petersburg International Economic Forum (SPIEF-2018). "I will do everything possible and necessary to live up to your trust," Rogozin told the Russian leader. Rogozin has held the post of Deputy PM for Defense and Space Industry since December 23, 2011. In particular, he supervised the reforms of Russian defense and space sectors, which led to the creation of the Roscosmos state corporation. The ex-deputy PM had to make a great deal of effort to reverse the negative image of the Russian space industry after five launch failures in 2011. The high accident rate remains a problem for the corporation’s leadership. Nonetheless, that negative indicator has gone down in the recent years. As for the successes of the space industry, Rogozin supervised the establishment of the GLONASS satellite navigation system, making its operators self-sufficient. Moreover, the high-ranking Russian official headed the commission on the construction of the Vostochny Cosmodrome in the Amur Region, eliminating a more than two-year backlog. Up until now, Roscosmos has been led by Igor Komarov, who entered the space industry in October 2013, when Prime Minister Dmitry Medvedev appointed him as Deputy Head of the Federal Space Agency. In March 2014, he became head of the United Rocket and Space Corporation. 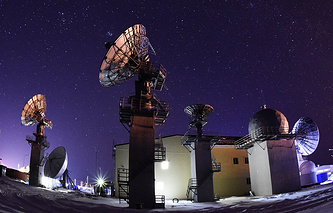 On January 21, 2015, Komarov was appointed as head of the State Space Corporation Roscosmos.